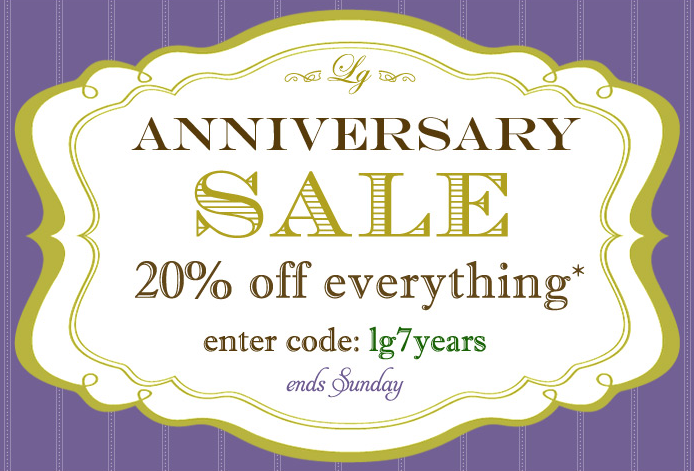 Layla Grayce is celebrating it's 7th year in business this week and to celebrate they are offering 20% off their entire store (some lines excluded)! So if you have had your eye on that special piece now is your time to purchase! 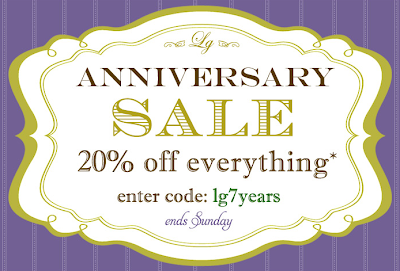 Enter code lg7years at checkout. Sale ends on Sunday at midnight so you have one week to shop till you drop for some wonderful nursery decor! Any other great Columbus Day sales you all want to share?